So far this year, I’ve read thirty books! This is partly because I read a chunk of picture books all at once, and partly because the MTA is a disaster. I feel like I can say this as a part-time disaster myself–and because this week, I haven’t yet had a commute take less than an hour and twenty minutes…for what is supposed to be about a twenty-minute train ride. I don’t have service in the subway system, generally, so I can’t while away the time with social media, and I don’t read on the train because I can get that too-hot carsick feeling (plus I tend to prefer paying more attention my surroundings when I’m actually on the train). But I have done a lot of platform reading, which–despite no longer really being in the business of discussing and dissecting books in public–I will share with you here. The novels and not-picture-books, at least. And this is for me, because as I discovered at the beginning of the year, there’s nothing like being asked what you’ve been reading, or loved (especially in kidlit! ), to turn your mind completely blank except for the plot of every smutty book you read in the last quarter. And Q4 was smutty, because that was easy and undemanding in the free time I had. So, some longer books, but I’m going to be coy about some of them. »The Prince and the Dressmaker, Jen Wang: A prince likes wearing dresses and feels he has to hide it; a dressmaker wants to be recognized for her work. This leads to Problems. Graphic novel. I know there are some interesting and valid reasons why people love or don’t so much love this one, but I’m fascinated that people who are really into labels have a lot of issues and people who don’t seem to be into labels like it more. I wonder why that is. »Trail of Lightning, Rebecca Roanhorse: An urban fantasy that’s not urban at all, really–it takes place on a post-apocalyptic reservation where a Dine woman has become the killer of monsters and sometimes monstrous herself. I keep thinking this is something I’d recommend to someone who likes Paolo Bacigalupi’s books, but I haven’t talked to a person yet who has read one and not the other. A book for every reader I haven’t met. »The One Hundred Nights of Hero, Isabel Greenberg: A sort-of Scheherezade tale, with a hugely feminist bent and a Scheherezade who isn’t the wife, so that’s nicely subverted. It’s an oversize graphic novel, which probably has a fancy name I don’t know about, and that makes it an interesting gift. »[redacted] A multi-authored essay collection that a) went on for too many essays and b) didn’t apply to me as much as I…thought, or had hoped? It was fine, just a chore by the end. »[redacted] Adult romance novella. Trope was workplace setting, but not exactly boss-subordinate. While I liked this well enough, the trope isn’t my favorite, and romance with colleagues is a total turnoff in real life, so… I liked the other novella I’ve read by the author, though, and the author’s longer fiction, so I’d read other romances by them. »[redacted] Also adult romance novella. Sort of a second-chance romance. I’ve tried a couple of things by this author, who comes widely and often highly recommended, but their work hasn’t clicked for me, so I’m moving on. Alas. 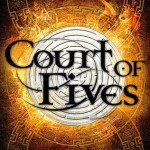 »The Tiger’s Daughter, K Arsenault Rivera: Epic fantasy with an unusual perspective / approach. Has swords and girls kissing in a fantasy East Asia. I had a hard time getting into the first half, but the second half held me. Included a sensual metaphor that made me want to stab my own eye out* like no other in the same scene with one that was also the nicest I’ve ever read in lo these many years of turgid members and honeyed caves. *I’ve seen an eyeball come out before and I do not need to think about it ever again, but here we are, because a similar thing happens (not super graphically) in the book. »Willa & Hesper, Amy Feltman: I picked this up at work because it had a lemon on the cover. Has postgraduate writing programs and girls kissing in Brooklyn. Mostly it’s a portrait of post-breakups and of the two girls finding their separate family heritages (Jewish/holocaust history and country of Georgia, they think) painfully. I never underline, but I underlined whole paragraphs in this book because the prose is that wonderfully good. *This is another thing I’d like to not think of, and I don’t know how I got two of my three please-nos in such a short span! (Not a reason for me to have avoided, necessarily, but.) If I’d hit hoarding I’d have collected my personal triforce. »[redacted] Adult romance. We’re practically opposites and we have to save the business by Valentine’s Day! It was entertaining enough, but not memorable. »Roadqueen: Eternal Roadtrip to Love, Mira Ong Chua: I can’t remember who got me to (unusually) get in on their friend’s (-friend’s?) Kickstarter, but thank you, this showed up and was hilarious. It was all my favorite manga facial expressions and plotlines. Not that I have many, but I have enough to see what’s going on here. »Dread Nation, Justina Ireland: I’d read most of the book a half-dozen times, but had had bad luck in finishing it, and kept re-reading. Yes, it’s zombies in an alternate reconstruction-era setting, and I can see why that might sound unusual and even not someone’s thing, but holy crap, Jaaaaaaaaane is amazing and so is this whole book. Just read it already so we can commiserate. I read a lot of fantasy and I know what I’m talking about, you peasants. I’ve been remiss: I have not been reviewing* what I read this year. (I keep wondering if I ought to, or even could, port those entries over here; however, this isn’t generally to be a book blog.) The asterisk is there because I keep running across so many posts that want to tear apart the idea of the reader review–it’s not in academic format X, one should have a certain background to review books, if you’re not going to give things five stars you shouldn’t tell people about them…argh. I agree to an extent that there are “reviews” that aren’t; posting jacket copy isn’t a book review, and my shorthand reviews are often more reminders for me when I return to a post than an in-depth examination on the page. Reader reaction to a book, even bad or ill-informed, can be a useful input. I quit Goodreads because I got tired of following the “rules” and having people think that a 3-star “I liked it” or 2-star “It was okay” were negatives, and let’s not even talk about why I don’t give Amazon the benefit of my mental energy anymore, except to say harassment, bots, and scraping. All of that sounds cranky, doesn’t it? More than I’m feeling at the moment, anyway. So, let me give you the highlights of this spring and summer’s reading that you can currently buy. As always, I don’t get to reviewing more than a fraction of what I read, and disclaimer that due to school and work right now, I am not taking any outside requests to review books. Iris Crane, from Australia, goes to France during World War I to fetch her underage brother home. Once there, she is–distracted, I suppose–into the service of a women-run and women-staffed hospital, where she serves as a nurse and an assistant to the hospital director. Reveling in becoming her own, she neglects to expose her very happy brother, who is himself finding a place in the world. But the war looms over them, and they can’t see the threat approaching. In the seventies, Iris’s granddaughter Grace is an ob-gyn in a man’s world, and has to find a way to care for her family and her career as they teeter on the brink of disaster. 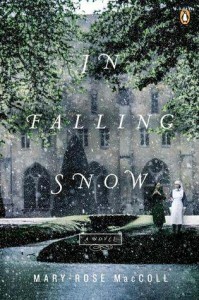 Big, sweeping multi-generation family story, told with an awry sense of POV and tense that makes perfect sense to show Iris’s perspective. A very feminist story. I read this in ARC and couldn’t put it down. Sometimes, you know when a story has really taken a step ahead, and when it re-sets the starting line. I could tell you this is fantasy Little Women mixed up with Greco-Roman history and American Ninja Warrior (YEAH), or I could tell you that this is the real daughter of The Hunger Games (ALSO YEAH). 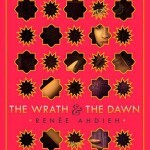 My reading tip: pay attention to the peoples, their history, and their culture as they are introduced. I didn’t, and spent a lot of the book getting people confused. (Note: reader error. I actually did this on the book below, too, so I had a muzzy couple of weeks until I settled down and just read.) Luckily for me, that means a re-read. First in…a set of some number that I don’t actually know. Absolutely, positively worth your time, and I wouldn’t be surprised at all to see this as a Cybils finalist this year, at the very least. I really didn’t think I was going to like this; how many times have you read some big retelling and had it not work? Or, perhaps more accurately, had it not bring anything new to the table? I am picky, maybe too picky, about retellings. I want the story to be re-told, not simply told again with some details changed. I want the story to be transformed. I–maybe–don’t want it to be clear that something is a retelling, even. In this story, the great Shahrzad vows vengeance on the king who kills his wives, but finds herself in a more complicated relationship with the king than she anticipated. What makes this story work is that the author really, really knows what to do with romantic tension, and that is: pull the rubber band tight and aim it, but keep you wondering if and when the snap and flight will happen. Also, if you see a physical edition, check out the really glorious cover treatment. Set to be a duology. I don’t think I read this growing up, so I rectified that. 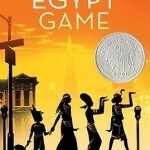 A group of kids in 1960s Berkeley gathers in a seemingly-empty backyard space and plays at Egypt, as they know it from books about ancient history. There are kids of different races, single parents, and free-range afternoons. But there’s a child killer on the loose, and it could be someone who’s watching all of them more closely than even their bright minds could have imagined. (And that’s the weakest part of the book; I think the murderer could have been a bit bigger part of the book and that plot line not so squished into its brief pages at the end, all without hitting gory or too scary.) I love the look back at kids before the time of the helicopter parent, and I think that–a limited amount of freedom coupled with the knowledge that there are caring adults around–is an experience that, with parenting style changes and cell phone ubiquity, few will have again. I love, too, the variety of people and households that appear in this book. Not everything holds up perfectly, as you can imagine, but there were some good surprises. I think, too, that the author really gets how kids learn (live?) for/through imaginative play, and their Egypt is clearly only their Egypt, standing in for real life where it’s harder for each of them to navigate and negotiate the same thoughts and feelings. 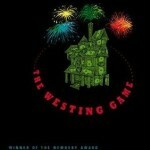 That said, since the follow up is titled The Gypsy Game, I think I’m going to skip it. I’m reading all the game books this summer, yes. My first note: don’t get the Puffin Classics edition of this and then read the front matter, because there’s a piece about the book and author that actually spoiled, for me, the puzzle of the story. Not all of it–and if I told you why and you haven’t read, I’d spoil you–but enough to be irritating. I’m afraid that this wasn’t a great read for me; maybe I missed the right age to first read it, maybe I wanted more with more of the characters, maybe I thought the format wasn’t quite right (repackage this written for an older audience, and I might be all over it), maybe I wasn’t fond of aspects of the writing style. Maybe I thought it too weird that there wasn’t enough emphasis on the lives of children for this to be for children, because if a book for children stars adults, I want there to be some childlike aspect to the adult that appeals to the interests and cares of people of a younger age. I also felt like some of the way the mystery was handled was a stretch, and I didn’t understand (all of) what Westing wanted. Sorry, folks. I’m disappointed in me too. Apparently, I have been on a middle grade streak, people (I also had a nice time re-immersing in The True Meaning of Smekday and Smek for President by Adam Rex in the late spring/early summer, but I’m going to assume you already know how fun those are). Here’s the tough thing: I find Peter Pan to be a difficult story all around. Barrie was a weird guy. There are hardly any girls, and they are servants in one way or another. Tiger Lily and her tribe are nasty stereotypes, and neither erasure nor amplification seems to be the way to go forward. 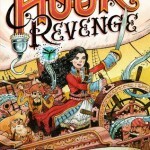 That out in front, Hook’s Revenge is the story of Hook’s daughter, who has been left to relatives and boarding school, but who is absolutely not a pretty, coddles princess. When she is called upon to exact Hook’s revenge, you couldn’t ask for a more willing and eager…pirate. Jocelyn Hook is DELIGHTFUL, and the voice of the book utterly delightful too. Especially recommended for girls who think they need to be a certain way. Also my BFF should read this one. 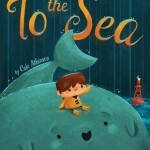 This is a lovely, vivid picture book about friendship and loneliness. The illustrations are deep and beautiful and, at least in color, unexpected. Pair it with its book trailer to extend understanding a bit. One of the favorites of at least one small person’s summer reading. The spoiler alert on this is that I cry every time I read it. Look, people, if it comes with pictures, those “little” emotions, like happiness, sadness, worry, fear, joy, well, they stab me right in the gut every time. I read a review of this before it came out and put it on my to-buy list, and wasn’t sorry. 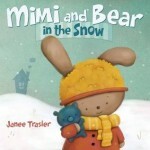 Mimi and Bear are separated; will Mimi find Bear again? Waaaaaaaaaaaaaaaah. Now, off to tackle chores and that pile of email that’s glaring at me from the corner.